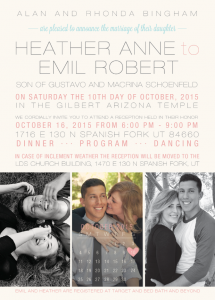 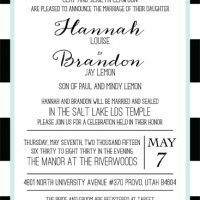 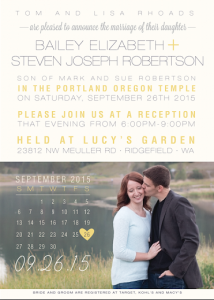 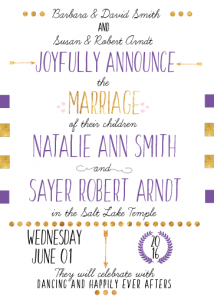 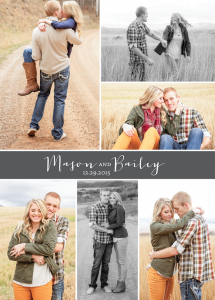 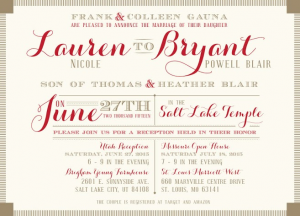 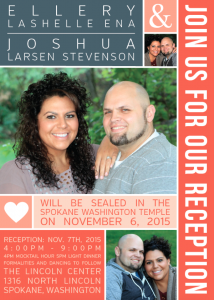 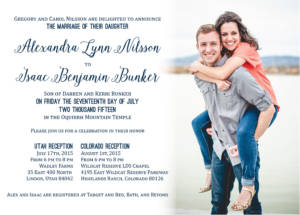 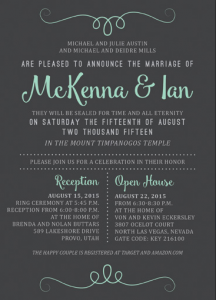 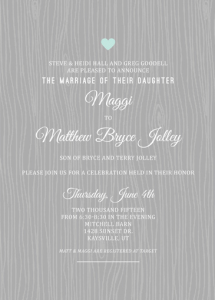 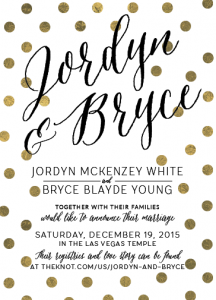 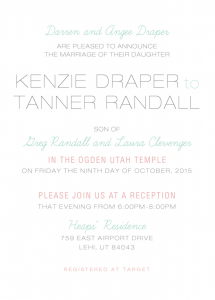 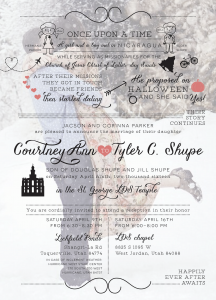 It can be tough to come up with the perfect message for your wedding invitations, but it doesn’t have to be! 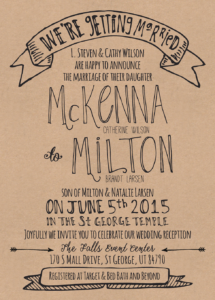 Are you struggling to find the best way of saying what you want to tell your guests about your big day? 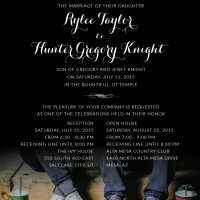 You want to reflect the vibe and tone you’ve set for the wedding, but it can be tough to come up with the right words. 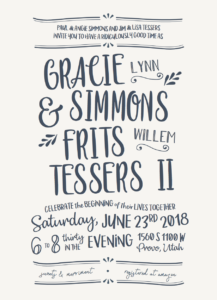 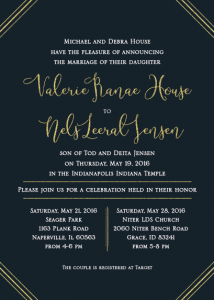 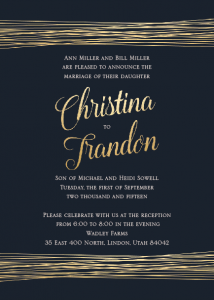 When dealing with widowed or divorced parents, or non-traditional family styles, it can be confusing to figure out the best way to present that in your invites. 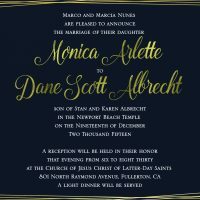 The traditional layout is for the bride’s parents to be the hosts of the wedding with their names listed first, followed by their daughter’s name. 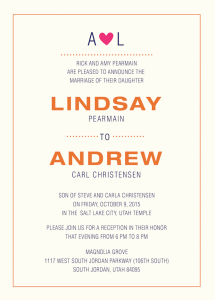 If the bride’s parents are divorced and/or remarried, you may choose to list the new spouses as well. 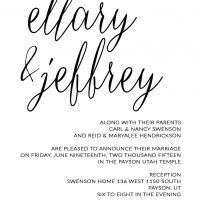 Tradition can be turned on its head if the groom’s parents are hosting the wedding, if the couple is hosting themselves, or if the bride’s and groom’s parents are all working together to host the wedding. 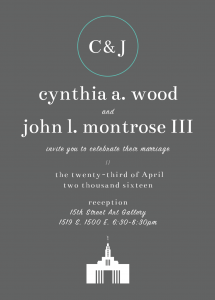 Wedding address standards have typically stuck to a classic tradition of spelling out all streets, state and city names without abbreviations. 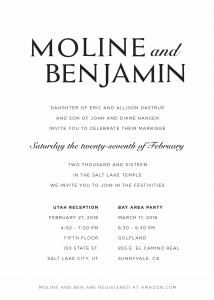 Likewise the classic style for dates and times is to spell them out instead of using numeric characters. 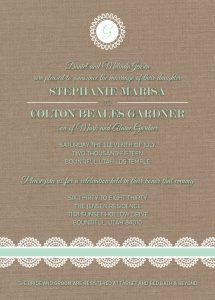 These rules can be changed if you prefer an informal style or if you’d like less wording on the page for a simpler look. 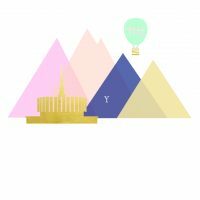 Are you totally confused yet? 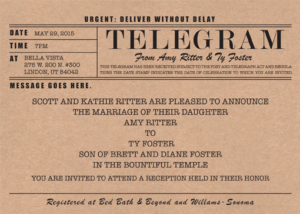 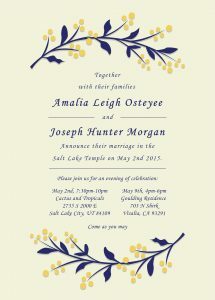 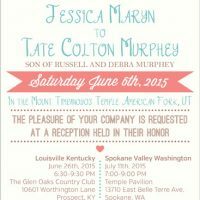 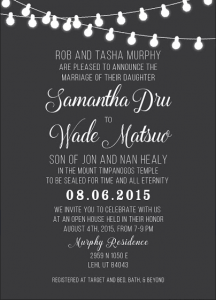 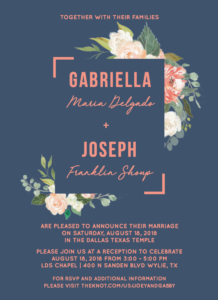 Rather than trying to remember these and all the other invitation wording rules, it’s helpful to look over examples of other couples’ personalised wedding invitations templates. 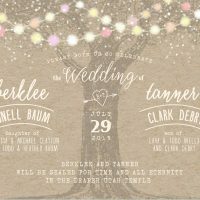 These can serve as a guide for you to tweak to your needs or just fill in the names with your own information if you find something you love.